What is the CIO in the AFL-CIO? As a federation of unions, the AFL-CIO represents workers in diverse industries throughout the United States and works to win higher pay and better working conditions for its members. With a history stretching back to the late 19th century, the federation has evolved alongside advances in technology and changes in the economy. In fact, the federation’s name itself is a representation of how the organization has adapted to changing times. Known simply as the American Federation of Labor (AFL) at its founding in 1886, the Congress of Industrial Organizations (CIO) was added in 1955 to represent the coming together of two different sectors of the labor movement. …in 1935, a split occurred in the labor movement over how unions should be organized. On this day in 1935, a split occurred in the labor movement over how unions should be organized. Unlike many unions today, members of the early AFL were not organized along industry lines, but were organized according to skilled trade or craft. The AFL’s founder, Samuel Gompers, for example, was a member of the International Cigar Makers’ Union—a union founded when cigars were still made by hand. But as technology advanced and mass production increased, large numbers of unskilled workers also began to organize. Working in industries such as coal mining, steel production, and garment manufacturing, these workers did not fit neatly into the categories found in the established unions of the AFL. One of the most vocal supporters for organizing unions along industrial lines was the president of the United Mine Workers of America (UMWA), John Lewis. Lewis believed that workers in large industries were at a disadvantage when organized into craft unions, because it both hurt solidarity within industries and limited workers’ ability to bargain with management. As industrial workers continued to organize and join unions affiliated with the AFL, a split occurred. Pictured: Members of Local 22 of the Food, Tobacco, Agricultural, and Allied Workers-Congress of Industrial Organizations (FTA-CIO) in Winston-Salem, NC. Local 22 was an interracial union of R.J. Reynolds tobacco and factory workers. Learn more about these courageous workers by reading “Civil Rights Unionism: Tobacco Workers and the Struggle for Democracy in the Mid-Twentieth-Century South” by Robert Korstad. On November 9, 1935, John Lewis of the UMWA and 10 other unions formed the Committee for Industrial Organizations within the AFL. The new committee was dedicated to organizing industrial unions inclusive of both skilled and unskilled workers. The committee and its members were formally expelled from the AFL in 1937, creating a rival labor federation: The Congress of Industrial Organizations. On the heels of the Wagner Act (also known as the National Labor Relations Act, which guarantees private-sector employees the right to organize, collectively bargain, and strike if necessary), the CIO participated in impressive organizing work. In 1936, the CIO threw its support behind the United Automobile Workers’ famed sit-down strikes in Flint, Michigan. In 1937, with help from John Lewis and the CIO, the Steel Workers Organizing Committee gained recognition from U.S. Steel and other large steel companies. Growing at a remarkable rate, the CIO had 3.7 million members by 1937—surpassing the membership of the AFL. While the CIO was certainly more inclusive of unskilled workers, its inclusion of workers of color was much more complex. Practices considered racist or anti-racist played out in varying degrees across many of the CIO’s member unions. The UMWA, for example, fought against a poll tax in Alabama and held illegally desegregated meetings. The solidarity only lasted for a time, though, as the UMWA failed to fight for the interests of its black members whose jobs were lost to automation after World War II. The Food, Tobacco, Agricultural, and Allied Workers union (FTA) should also be mentioned here. 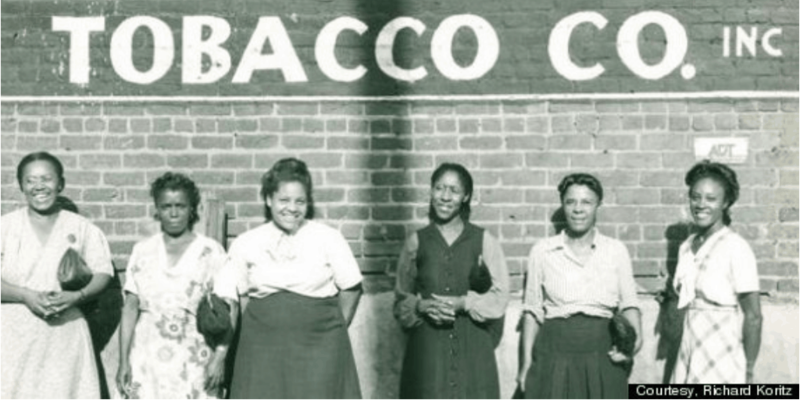 With backing from the CIO, the FTA represented workers of color in the tobacco industry where black women worked as organizers and union officials. Sadly, the FTA was later expelled from the CIO, and one of its strongest locals was destroyed by subsequent attacks from the CIO after its expulsion. With the rise of the service industry and the gig economy, workers are organizing and building a more inclusive movement than ever before, creating organizations of workers regardless of race and gender. By 1955, the American Federation of Labor and the Congress of Industrial Organizations had reconciled their differences and come back together to form the AFL-CIO. Just as the labor movement had to adapt to advances in technology and a changing economy in the 20th century, the movement is adapting to the changes taking place in the 21st century. With the rise of the service industry and the gig economy, workers are organizing and building a more inclusive movement than ever before, creating organizations of workers regardless of race and gender. Dray, Philip. There Is Power in a Union: The Epic Story of Labor in America. New York, NY: Anchor Books, 2011. Goldfield, Michael. “Race and the CIO: The Possibilities for Racial Egalitarianism During the 1930s and 1940s.” International Labor and Working-Class History 44 (1993).